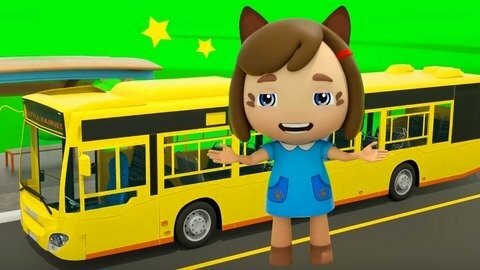 Two cute little fairies hitch a ride on top of the bus while they sing and dance the Wheels On The Bus baby song in this music video. Help your kids learn the lyrics and do some actions by watching the two cute fairies. See the red fairy pretend to be the baby while the blue fairy pretends to be the mommy. Learn even more songs for kids for free by going to SeeZisKids.com.